Environmental Champions is a made of up volunteers who simply work together to improve their local community and environment. 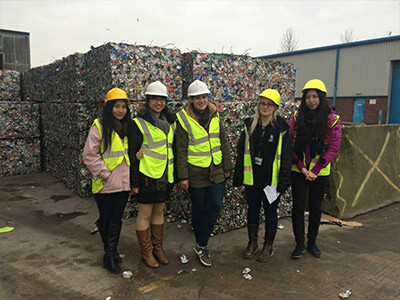 The group works on a variety of projects focusing on waste and recycling, food waste, housing and energy efficiency, sustainable travel, community growing, fair-trade, environmental tasks and much, much more. 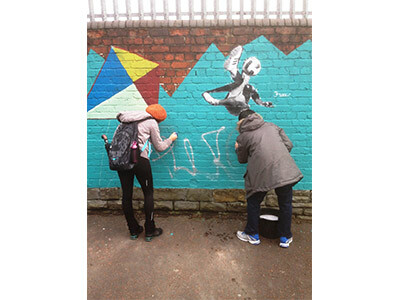 The group focuses their work in the areas of Cathays, Plasnewydd (Roath) and Gabalfa, however they do work in other areas of Cardiff and further afield from time to time. The group welcomes volunteers from all walks of life. 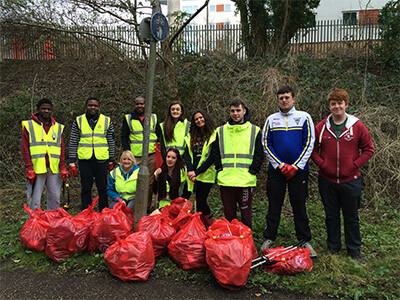 Local residents, councillors, landlords, students and professionals all volunteer their time to help make Cardiff a cleaner, greener city. 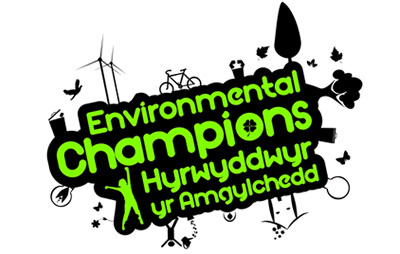 Environmental Champions is a partnership project between Cardiff Digs, Student Volunteering Cardiff, Cardiff Metropolitan Students’ Union, Cardiff Volunteering and City of Cardiff Council. 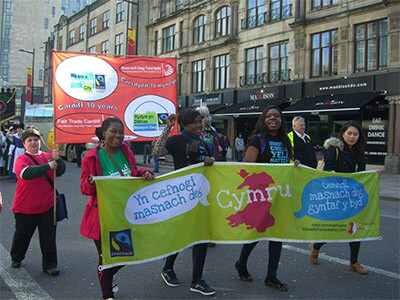 The project is supported by a wide range of organisations including South Wales Police, Keep Wales Tidy, Fairtrade Cardiff and many more. Fun fact: I am a trained pastry chef! Most likely to be found at: In a coffee shop, sipping on a cappucciono! Keep updated with the Environmental Champions through social media. Alex Kay, Cardiff Metropolitan University. 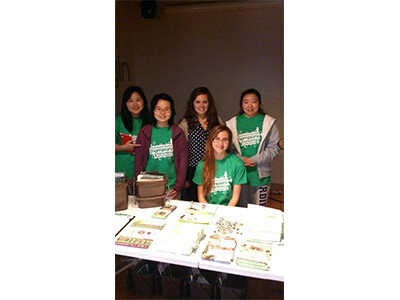 I have absolutely loved being a Project Co-ordinator for Environmental Champions in academic years 2013/14 and 2014/2015. As I am very passionate about environment and sustainability, I was grateful to be selected to co-ordinate on a project which aimed to address those issues and promote sustainable living in the student community. As part of the project, we offer advice on recycling, food waste disposal, Tidy Text service, energy efficiency and Fairtrade. 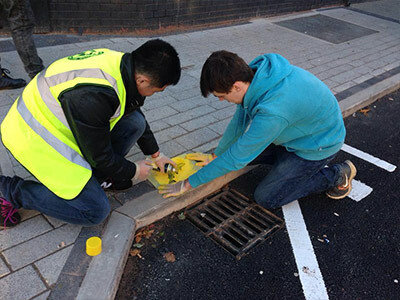 We also have more hands-on events such as beach cleans, litter picks or gardening to help Cardiff become a beautiful and environmentally-responsible city. I have met some wonderful people on the project and each event has been a new and exciting experience. It was a chance to do something meaningful and completely different. It was also a great way to discover Cardiff. My favourite events have been the random ones. One such event was the Free-Range Chicken workshop in Adamsdown Community Centre, where we learnt about keeping chickens in urban areas; another time we drove the van down to Ogmore-by-Sea to clean the beach with Keep Wales Tidy while soaking up beautiful sunshine. The day we litterpicked at Varsity was also a great one – the music was playing, the crowds were cheering, the sun was shining and the park was covered in beautiful flowers. We put our sun glasses on and ploughed through the havoc of Varsity, enjoying the jolly vibe and helping people dispose of their empties. This project simply never gets boring and it is always so positive! I have worked hard and I committed a lot of time to the project, and though at times it was challenging to keep up the work alongside my studies and all the other roles I held at university, my role of a project co-ordinator of Environmental Champions was truly rewarding and enriched my university experience by a mile. But it gets better – I have also vastly improved my employability thanks to the role! 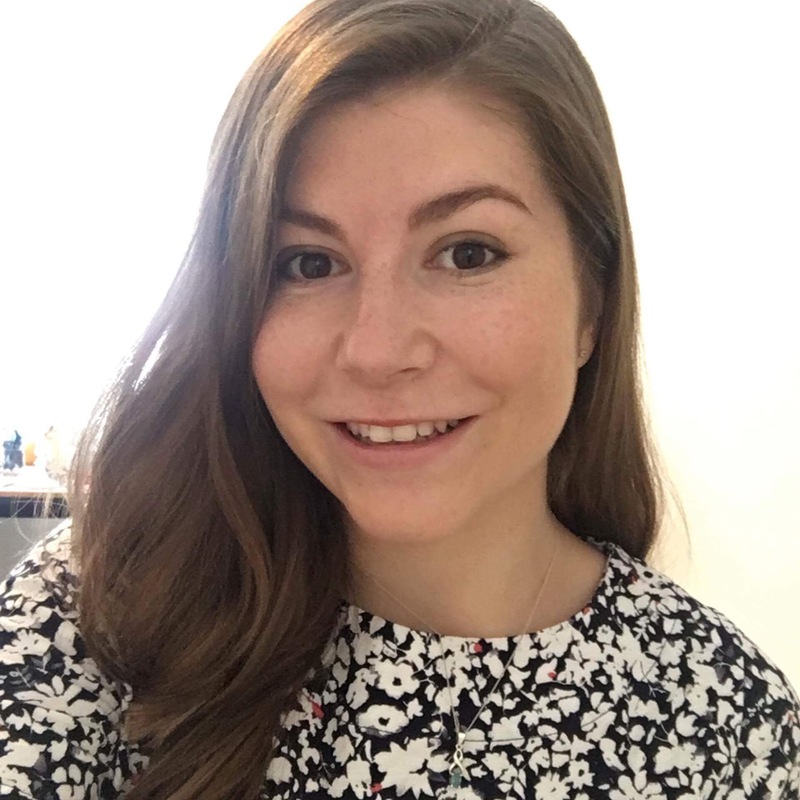 I feel that working as a student coordinator I improved my confidence, communication skills and adaptability, all of which will go a long way in any workplace. My commitment to the project was awarded a 200-hour Millennium Volunteering Award of Excellence, signed by the First Minister of Wales. Thanks to this role, I successfully secured a paid summer internship within Cardiff University. 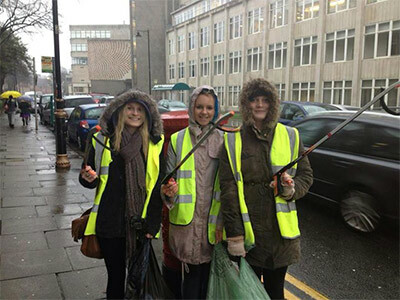 I hope that next year will bring even more versatile and quirky events, and more and more students will recognise just how important it is to make Cardiff a sustainable city. 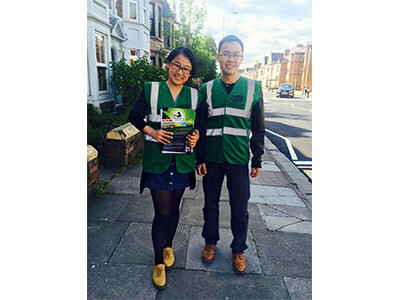 I became an Environmental Champion volunteer in 2012 because I was interested in environmental issues and I wanted to improve my local area. In a year and a half, I carried out over 70 hours of volunteering work, worked with different public and private organisations, made new friends, and added a lot of skills to my CV! My favourite part of volunteering was working with other people from different walks of life. 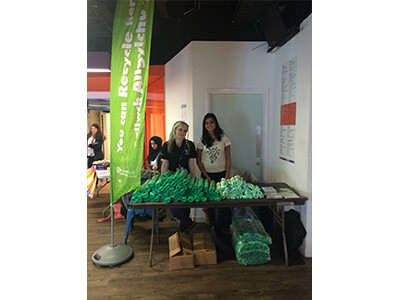 You get the opportunity to work with students from different universities and on other courses, members of the public and different organisations such as South Wales Police and the City of Cardiff Council. 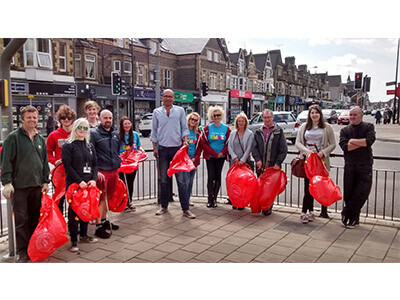 I took part in public engagement events such as community walkabouts, Fair Trade and recycling stands, and action events such as, litter picks , beach cleans and community gardening. 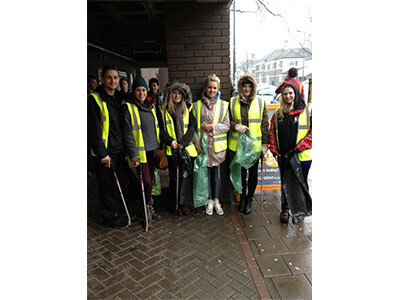 My favourite events were the beach cleans as I had the chance to visit an area outside of Cardiff and make friends whilst making a difference to the area. 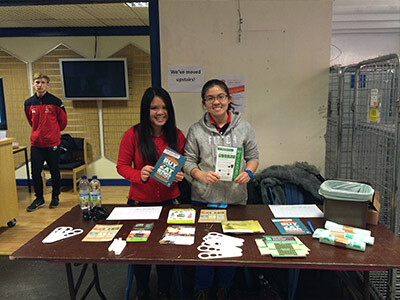 Volunteering helped me gain skills that have been vital for preparing for life after University. The skills I learnt as a volunteer could not be taught as part of academic life, but are as important as anything taught in a class room. 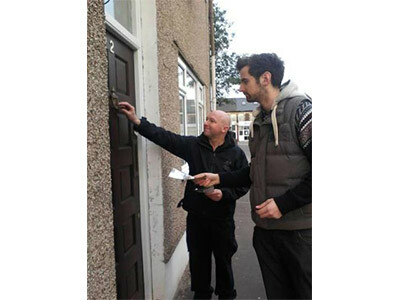 Speaking face to face to residents on community walkabouts helped me improve my communication skills, skills that are vital in my field of work. I had a lot of fun doing something to improve the area that I live in, as well as the lives of other students and residents in the area. 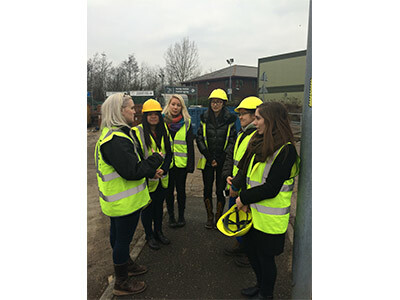 The Environmental Champions project is a great opportunity for students to give back to the community as well as gain skills that will give them an edge in the jobs market after they leave University. In a year and a half, I carried out over 70 hours of volunteering work, worked with different public and private organisations, made new friends, and added a lot of skills to my CV! The skills I learnt have helped me gain a full time, permanent role at the City of Cardiff Council. 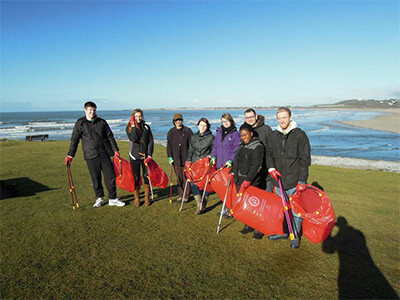 I would encourage students to volunteer with the Environmental Champions so they can make a difference to Cardiff, gain new skills, make new friends and get the most out of their time at University. View a list of useful contacts.